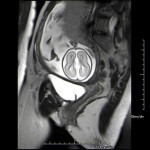 Patient with recently diagnosed endometrial cancer was referred to have a 3T MRI of the pelvis performed (without contrast). The purpose for doing so was to evaluate endometrial involvement and determine if there was any myometrial invasion. The referring physician also requested that the study be used to evaluate lymph nodes. 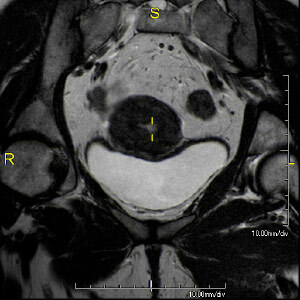 With high resolution 3T MRI the study was performed without contrast. Extremely high resolution images were obtained. 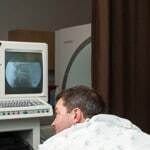 Dr. Amy Thurmond, Women’s Imaging Specialist, was able to “stage” the cancer (Stage 1) and determine that there was little if any myometrial invasion. 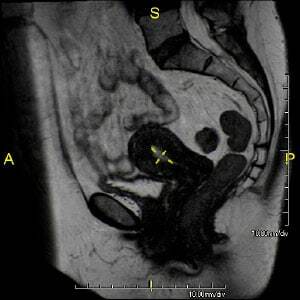 * Staging Endometrial Cancer with 3T MRI of the Pelvis without contrast agent. 1. Findings are consistent with a FIGO Stage 1A endometrial cancer, mean diameter of 8 mm with minimal if any myometrial invasion. 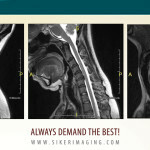 The high resolution 3T MRI performed at Siker Imaging was less expensive and invasive than hospital based endo-vaginal ultrasound and also less expensive than hospital based CT with contrast, with NO radiation exposure. 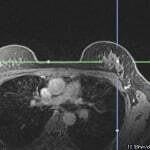 Due to the highly accurate images obtained, it was determined that the tumor was small in size with invasion, making this patient an excellent candidate for a simple hysterectomy.